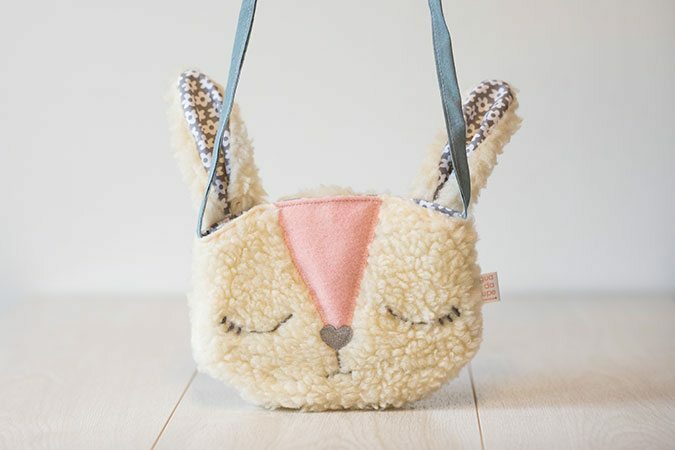 This cute sleepy Bunny Bag is designed and handmade with love and attention to detail. Bunny Bag is made from a soft faux fur fabric with a cotton handle. The ears and bag are lined with crisp cotton. Her eyes and mouth are hand embroidered with a cute love heart nose. Bunny Bag measures 17 cm x 14 cm and is hand wash only. Bunny Bag is a perfect for children to keep their treasures when they are out on big adventures!